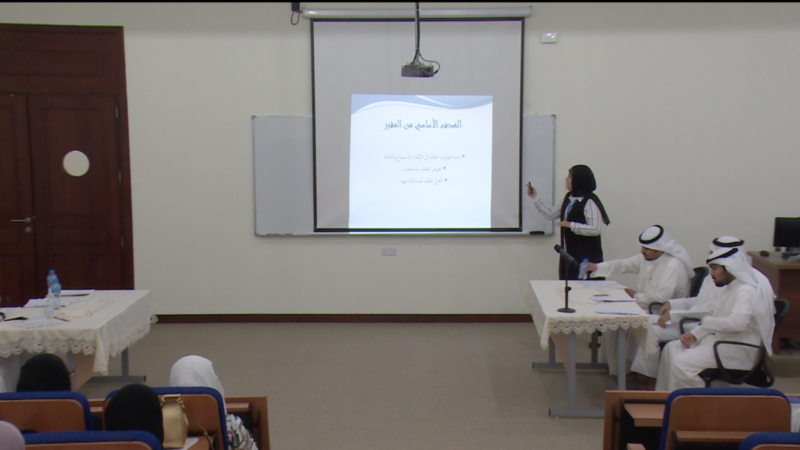 In the context of developing and innovating new methods to support and qualify the distinguished students through the expertise of faculty members, and through the utilization of new teaching methods, the Department of Student Development and Competitions organized the 3rd Model Lesson during for the Summer course 2017-2018. The lesson’s title was “Preparing Students through Skill Development”, and it was delivered on Sunday 22 July 2018 by Dr. Samah Khamman who prepared the lesson in the context of the course entitled “Professional Skills and Intellectual Communication Methods”. This activity goes in parallel with achieving the goals of the school in terms of the development and innovation in teaching methods which go beyond traditional teaching patterns.